John Henry Hallett was born on April 21, 1943 in Wattsville, Virginia to the Late Robert and Mary (Hickman) Hallett. After the death of his father, his mother moved to Delaware. He attended the Accomack Public School System, Frankford Elementary School, and William C. Jason High School. In 1962, he moved to Maryland. John departed this life on March 17, 2019 at Peninsula Regional Medical Center in Salisbury, Maryland surrounded by his family. John was united in marriage to Sandra Urseline Taylor on April 30, 1979. Throughout the year, John held various jobs; a truck driver at H&H Poultry, crane operator at Showell Poultry and his last place of employment was driving the forklift for Perdue Farms before retirement. He received an award for being a Safety Driver while working at H&H. John was a member of St. Matthew’s Baptist Church under the leadership of the Late Elder Mamie T. Mitchell and Pastor Louise Williams. He was ordained Chairman Deacon. He held many positions in the church; such as the maintenance man, bus driver, cook, and helping with anything that needed to be done. John fought a courageous battle since 2006 and will be deeply missed. He was preceded in death by his siblings William “Bill” Holden, Ronald “Ronnie” Hallett, Robert “Bae, Bae” Hallett, Ernest Hallett, Roland Camp, and Mabel Fletcher. Two daughters, Johnna Janee Hallett and Candace “Candy” Taylor, a niece, Brenda Smith and nephew, Junior Fletcher. 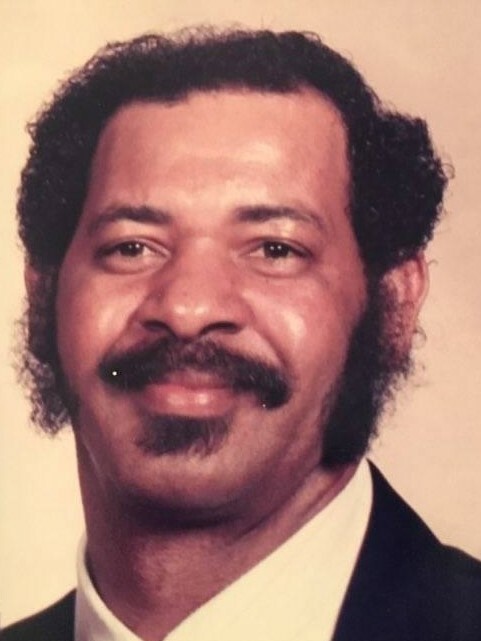 John leaves to cherish his loving memories: wife Sandra “Urseline” of Bishopville, MD; children: Ellery Lamb of Georgetown, DE, Jeffrey Taylor, Sr. of Bishopville, MD, Johnita Hallett of Bishopville, MD, Winona (Edward) Coleman of Plano, TX, and Lynette Hallett of Arlington, TX. Grandchildren: Leikia Hallett of New Brunswick, N.J., Kentrell Hallett and Jamaal Hallett of Bishopville, MD, Jeffrey (Daisey) Taylor, Jr of Seaford, DE, Tiffani Blackwood and Erika Blackwood of Arlington, TX, Taylore Coleman and Xavier Coleman of Plano, TX. Sisters: Minnie “Ann” Hallett of Georgetown, DE and Gloria “Marie” Hallett of Brooklyn, NY. Sister-in-laws: Agnes Holden of Wilmington, DE, Zakiyya Salahudin of Selbyville, DE, Fredia Eley of Milton, DE, and Onedia (Bucky) Purnell of Seaford, DE. 6 great-grandchildren. Recognition of good friends Linda Thomas and Eunice Savage.. A host of nieces, nephews, cousins, god-children, and friends. A funeral service and Celebration of His Life will be held Saturday, March 23, 2019 Calvary Pentecostal Church 13325 N. Worcester Hwy, Bishopville, Maryland at 11 A.M. Friends may call from 10 A.M. to 11 A.M. for viewing and visitation. Bishop Roland E. Mifflin will officiate and Bishop Elbert C. Davis is the eulogist. Interment will follow at the Zoar Golden Acres Cemetery, Bishopville, Maryland.